Promotions can get a good response with Custom Ponchos. A cheaper way to promote your logo with a one color print. Apps include events, trade shows, promotional products. Colors: Orange, Red, White, Yellow, Blue and Green. 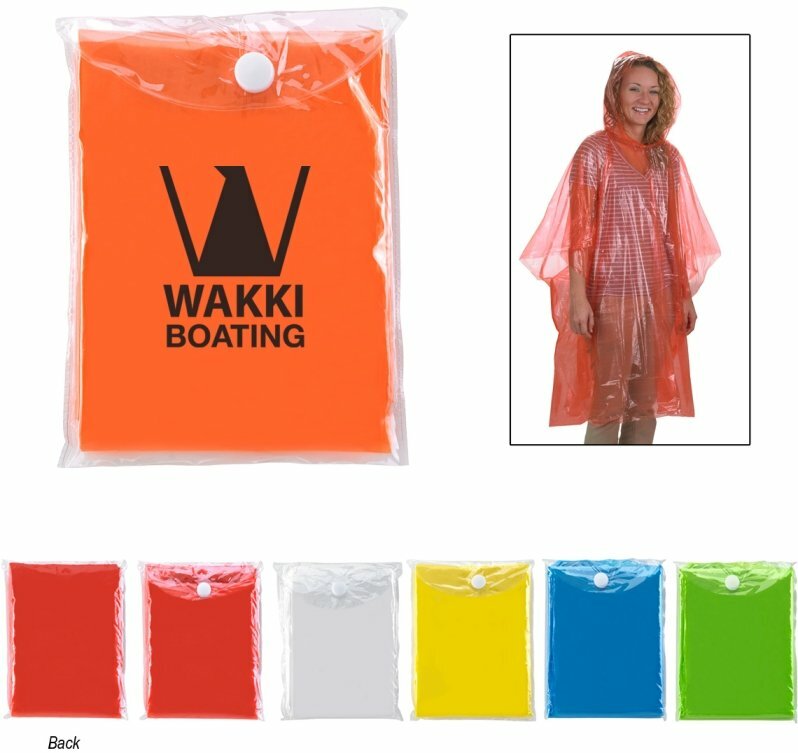 A PVC snap pouch with PE Poncho, one size fits all. Normal delivery for Custom Ponchos is 2-3 weeks. Price includes one color imprint on pouch 2 3/4" w x 2 3/4" h.
Factory setup charge is $55.00. One color print only. Logos require an Illustrator ai, eps or pdf art file.